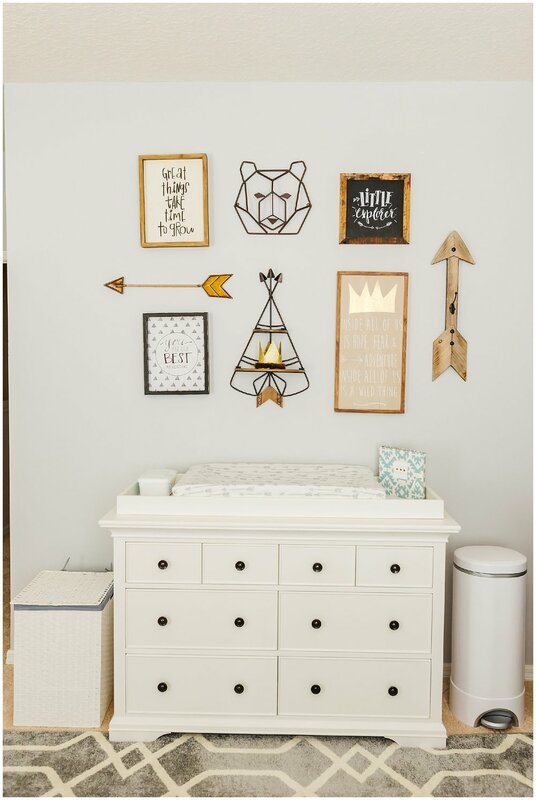 Carson's nursery is like a Pinterest board brought to life! What a unique idea to theme the nursery with Where The Wild Things Are, one of my personal favorites as a child. I just LOVE his mommy's style! The entire room has a minimalist aesthetic with an adventurous spirit! Let me start with the stunning shiplap wall- it really makes the crib of the Walsh's little critter the focal point. The combinations of textures tie the whole look together. The character of the room comes from the perfectly curated decor! Those posters are TOO cute. It makes the perfect place for little Carson to prepare for adventures of his own!